Japanese duo in all black and monochrome streetwear styles while out and about in Harajuku. 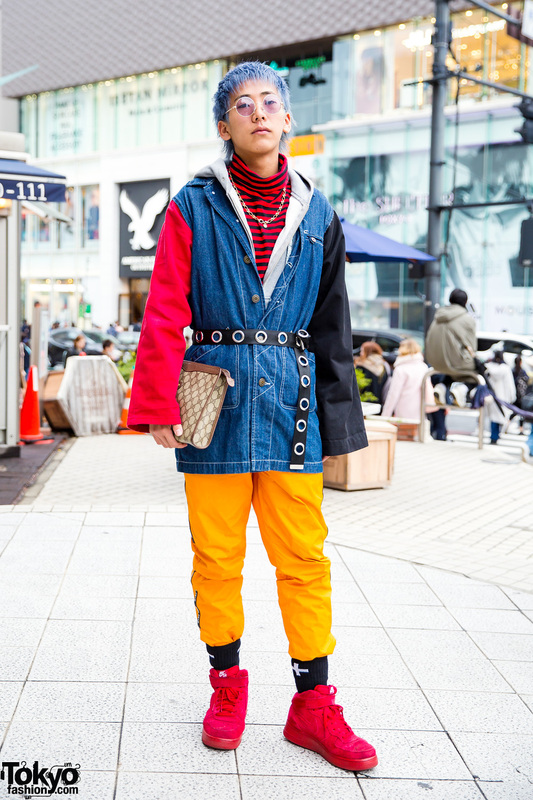 Harajuku teen with blonde mullet dressed in an eclectic style w/ oversized shirt, plaid shorts, red socks and platform sneakers. Harajuku girl dressed in a yellow floral print yukata kimono, striped obi belt, geta sandals and a straw clutch. Remake and vintage designer street fashion. 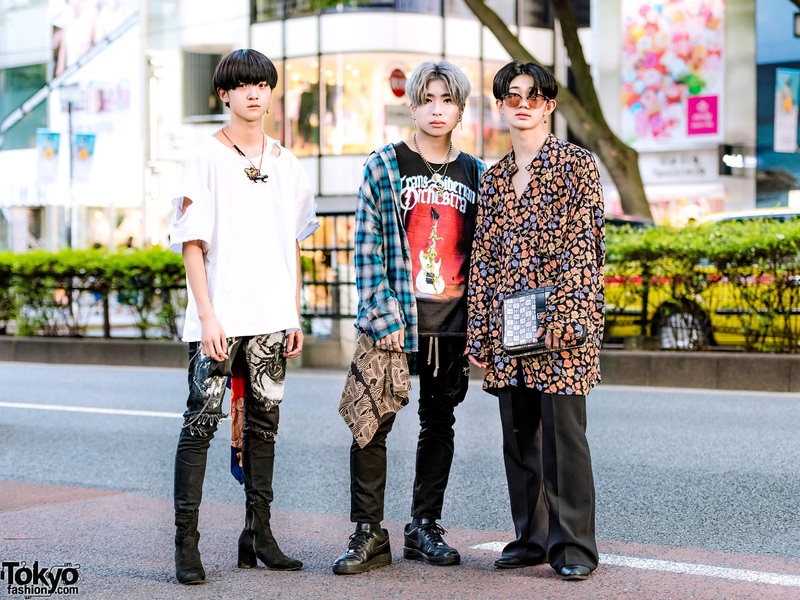 Harajuku trio sporting striking mens’ streetwear fashion with vintage band tee, plaid shirt, floral print shirt, skinny pants, shoes & accessories. 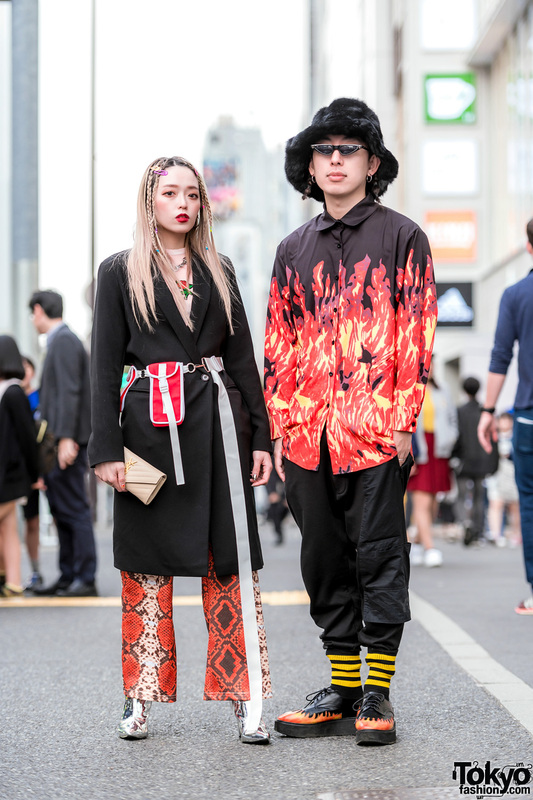 Fresh Anti Youth owner Kenji & model Urumi in Harajuku with red-and-black streetwear outfits. Blue-haired beauty school student sporting a colorful street ensemble while out on the Harajuku street. 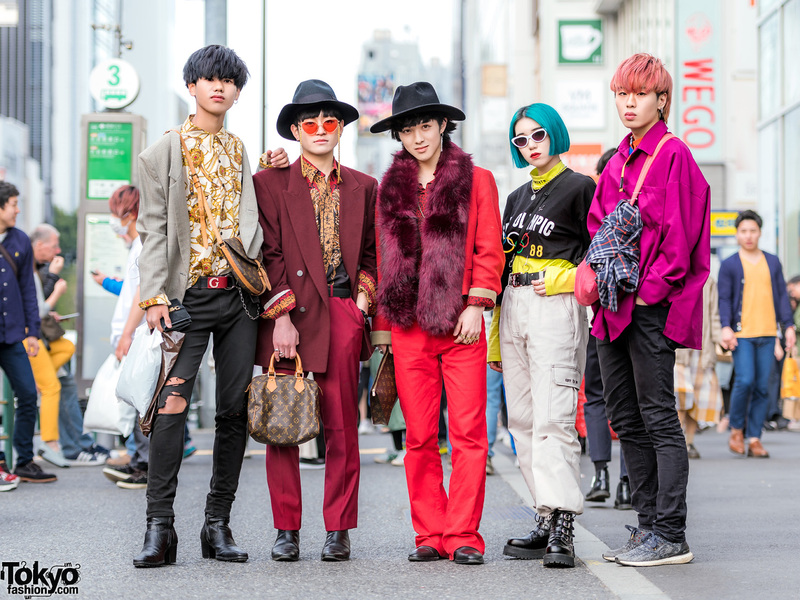 Harajuku group of three guys and a girl dressed in stylish streetwear looks while out and about at night.